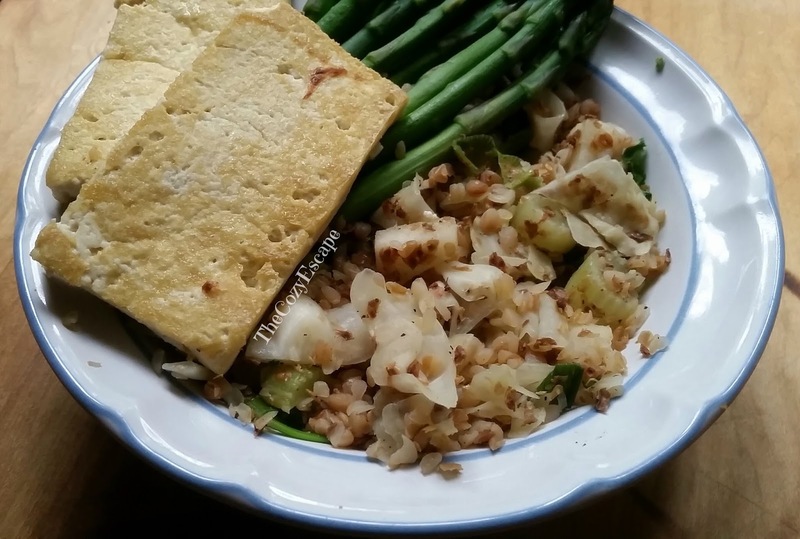 If you haven't heard of buckwheat yet, it is time to introduce you to this delicious, nutritious food. Perfect for those with gluten sensitivities and sensitive stomachs, buckwheat is a seed used in an assortment of ways including noodles (Japanese soba), flour, and porridge. Buckwheat is typically more common in Asia and Europe, but it needs to start making its presence in the North American culinary world because of all the health benefits that it offers. Linked to lowering blood pressure, cholesterol, and blood sugar, buckwheat is truly heart healthy. Scientific studies have also discovered that including buckwheat in the diet may lower the risk for diabetes and even helps control diabetes for those suffering from it. Since buckwheat is high in fiber, it aids in digestion and keeps hunger down, so eating a serving of buckwheat might just keep you from mindlessly snacking. Buckwheat's large amount of antioxidants, vitamins, and minerals help to fight cancer, lower stress levels, and keep your body looking and feeling young. Although anyone can enjoy the benefits of buckwheat, those who do not eat meat can incorporate buckwheat as a protein source in their diet since it offers about 6g of protein per serving. Overall, buckwheat definitely has its benefits, making it a wonderful, healthy food option. 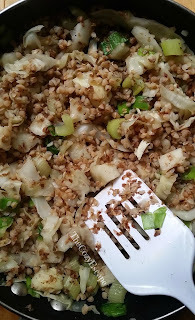 My favorite way to enjoy buckwheat is by preparing roasted buckwheat groats, also known as kasha. While they aren't as easy to find in large chain grocery stores by me, I do easily find them in the grain aisles in both European and ethnic grocery stores. You can buy roasted buckwheat groats either loose or in boxes filled with individual packets of buckwheat. I typically buy the packets because they are already measured out, easy to prepare and drain, and usually take quicker to cook. 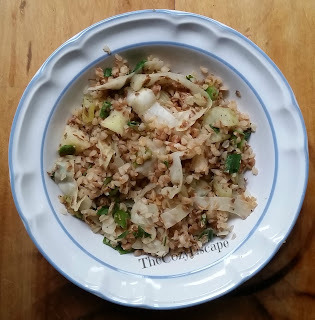 However, I have used both kinds of buckwheat groats, and both are super easy to prepare. Just be sure that the words "roasted" are on the packaging as the roasted groats have more flavor than the unroasted ones. Buckwheat groats have a slight nutty taste to them. One of the greatest attributes of buckwheat groats is that it can be prepared and used in a number of ways. You can use is as a starch or grain substitution in your meal; you can use it as a protein; you can make a salad with it; you can eat it cold, warm, sweet, or salty. Basically, you can be creative with how you introduce buckwheat into your diet without strictly using it in only one way. 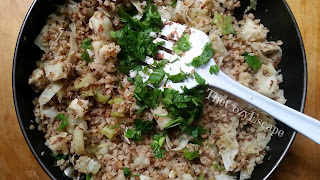 Today, I'm sharing with you my recipe for a warm Buckwheat, Cabbage, and Kohlrabi Salad. You can eat it alone or enjoy it with your favorite protein such as chicken, eggs, or tofu. Whichever way you decide to serve it, this warm, tasty dish will fill you up, keep you healthy, and make your taste buds happy! 1. Prepare the buckwheat groats according to your package's instructions. 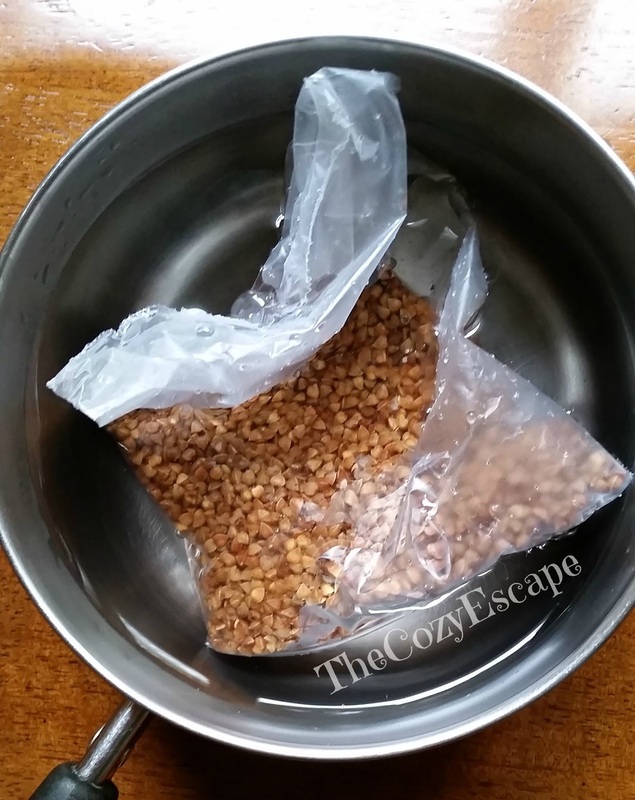 For mine, I put the packet in a pot and fill the pot with water until the packet is fully submerged. I then cover the pot and put it on the stove on high heat. When the water starts boiling, I lower the heat to low and allow the buckwheat groats to cook for 20 min. I actually take the buckwheat out sooner for this recipe as I will "toast" the buckwheat groats a little longer later on. Be very careful when removing and draining the packet once it is done as the packet and cooked groats are HOT. Cut open the packet and the groats are ready to use. 2. Coat the bottom of the frying pan with olive oil, wiping away any excess oil. Set the pan on medium-low heat. 3. 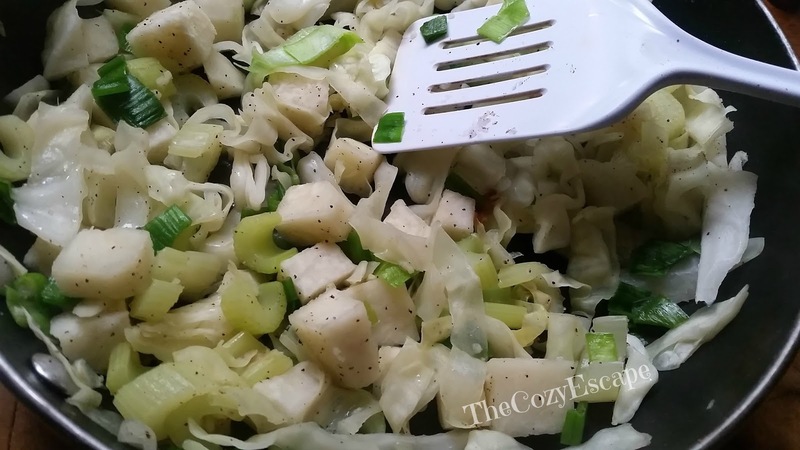 When the olive oil has heated, toss in the cabbage, celery, and kohlrabi along with 1/4 cup water. Cover the pan with a lid and steam the vegetables for about 3 minutes, or just long enough for the veggies to start becoming tender. 4. After 3 minutes, uncover the pan to add the leek and garlic. 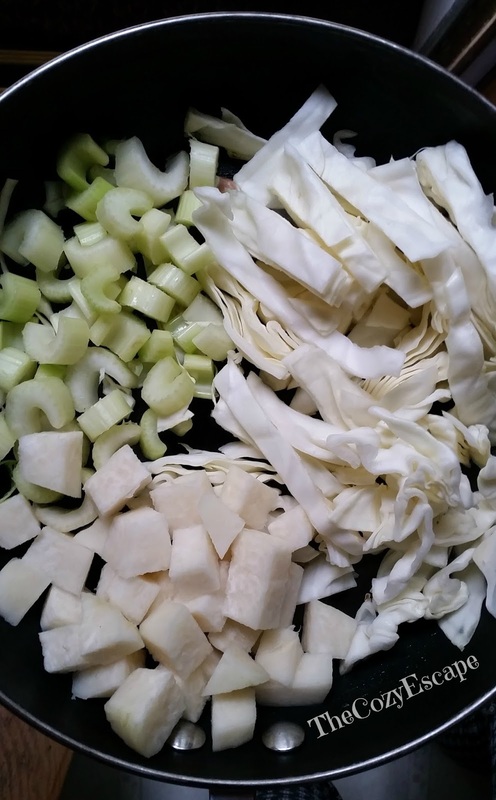 Stir all of the vegetables together. 5. When the garlic becomes fragrant (about 30 seconds or so), sprinkle 1/2 tsp. salt and some pepper to taste. Once again, mix it all together, this time letting the veggie mix cook for about 2 minutes. 6. 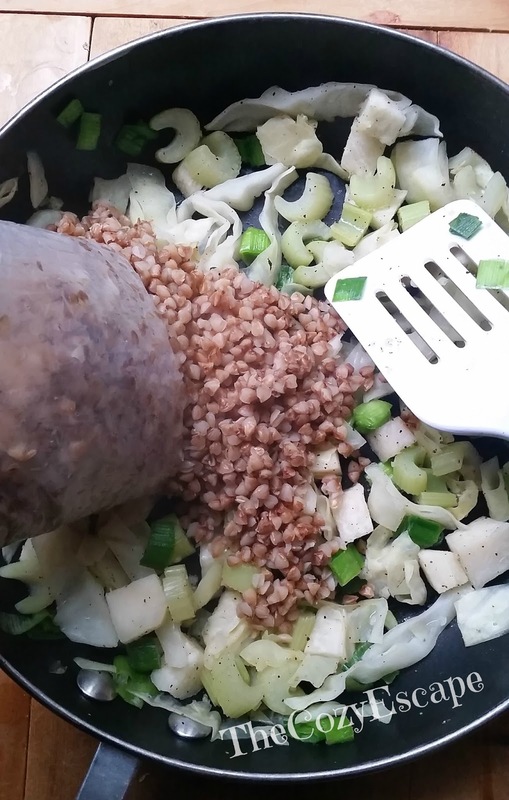 After these 2 minutes, if you are still waiting for your buckwheat groats to finish cooking, take the pan off of the heat. Otherwise, if you have already prepared the groats, toss the buckwheat groats in and combine all of the ingredients. "Toast" the groats on medium heat for about 5 minutes, stirring occasionally to stop the groats from sticking to the pot. 7. Sprinkle in the parsley and mix everything again. 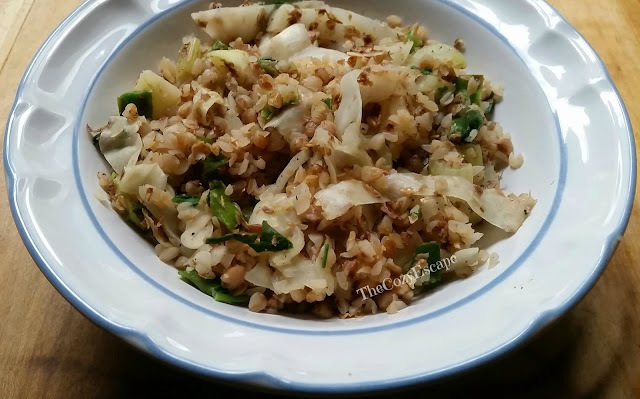 Taste the buckwheat salad, adding more salt and pepper to taste. 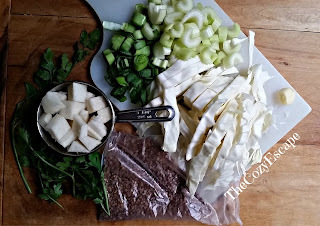 Thoroughly stir the mixture for the final time, remove it from heat, and serve warm.